In this guide you’ll learn how to gamble responsibly, signs to look out for if you suspect you have a problem and where you can go to get help. Gambling should be fun, but sometimes it can get out of control and in the worse instances can become a serious problem. If you’re gambling in the UK you’ll certainly be aware of the press coverage and promotion surrounding Responsible Gambling. But what does Responsible Gambling actually mean? To gamble responsibly means you are gambling in a controlled manner, with money that you can afford to lose, and you’re able to stop at any time. I like to think there are 3 elements to Responsible Gambling. Self education on how to gamble responsibly – the things that you should do to help you gamble safely. The responsibilities of the casinos and other institutions you gamble with. Help and Support if you have or think you have a problem with gambling. As an Individual you have to take responsibility for your own actions, so if you’re thinking about gambling you should take the follow advice. You should treat Gambling as entertainment that you are paying for. Don’t expect to win money or prizes from gambling. In the long term you’ll become disappointed when you don’t. Be prepared to lose more often than you win. Set a budget and stick to it. It could be a daily, weekly or monthly budget. Once you’ve lost that money stop. If you’re going somewhere specific to gamble try taking a cash budget rather than your debit or credit cards. This will help you to gamble to your Budget and take away the temptation to withdraw just a little bit more when you’ve lost. Don’t chase your losses. If you’ve lost your budget, don’t try to recoup it by gambling more. Take regular breaks when you’re gambling. Stand up, move around, go and do something else. Don’t gamble when you’re under the influence of drink or drugs. These can both affect your decision making. If you’re gambling online set a deposit limit. You can specify deposit amounts and the frequency you can make them. When gambling online use the time limit facilities to help you manage the length of time you gamble for. Decision making can be affected when your unhappy, stressed or depressed. Avoid gambling when you’re feeling like this. Only gamble when you’re happy. The UK Gambling Commission has published Social Responsibility Guidelines that operators need to follow as part of their licence terms. Crime should be kept out of gambling. Gambling should be conducted in a fair and open way. Children and other vulnerable persons should be protected from harm or exploitation from gambling. There’s also a bunch of other standards. Operators must comply with the UK Advertising Codes issued by the Committees of Advertising Practice (CAP) and administered by the Advertising Standards Authority (ASA). If you’re spending more money and time than you can afford. You’re finding it difficult to stop or manage your gambling. You’re having arguments about money and gambling. You’ve lost interest in doing your favourite things, or going out or spending time with family and friends. You’re always thinking about the next time you’re going to gamble. You’re starting to lie about gambling. You’ve been chasing your losses or gambling to win to get out of financial trouble. If you think you have a problem then there are a number of organisations that you can contact in confidence for a chat and help. 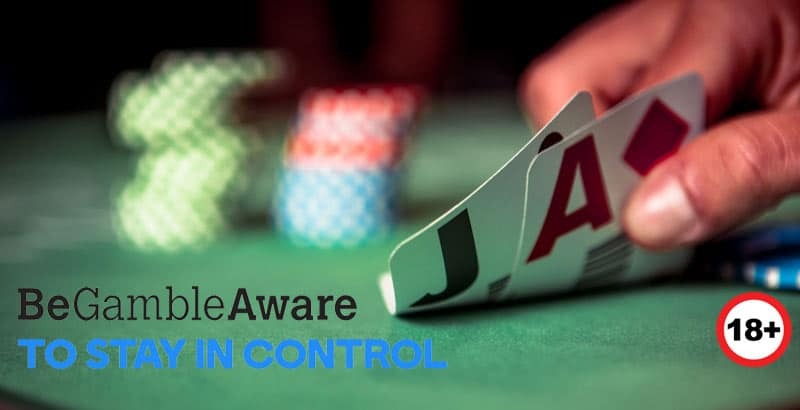 The BeGambleAware website provides lots of information on responsible gambling and how to access resources to help if you have a problems.